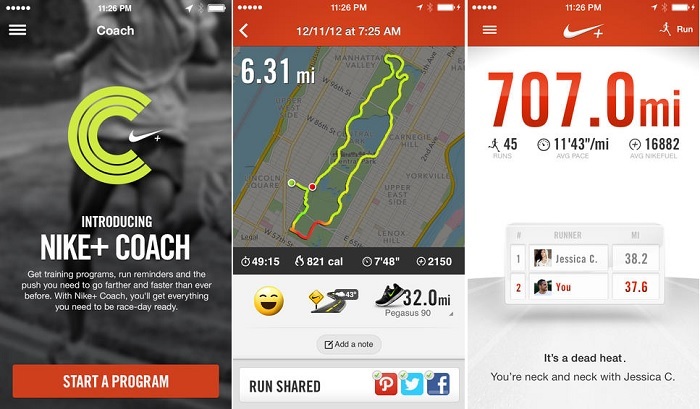 Nike+ Running is an amazing iPhone application for those who care about their fitness. In case you don’t know, the application give users the ability to keep track of your runs using your iPhone’s GPS and accelerometer. The application can help you achieve you’re running goals, whether you’re preparing for a marathon or just want to track your runs. Recently, the application received an update bumping it to version 4.5.0 and introduces Nike+ Coach, which comes with many new features to help you achieve your goals. The latest update comes with various training programs with different difficulty levels, coaching tips to help you prepare for race marathons, receive daily workouts, reminders and more. Get daily run reminders to stay motivated. Track your progress and see what’s coming up next in your training. Nike+ Running application is available for download from the App Store.